Although I often associate Christmas with arts and crafts, I have been working to bring more STEAM (science, technology, engineering, art, and math) activities to our holiday routine. 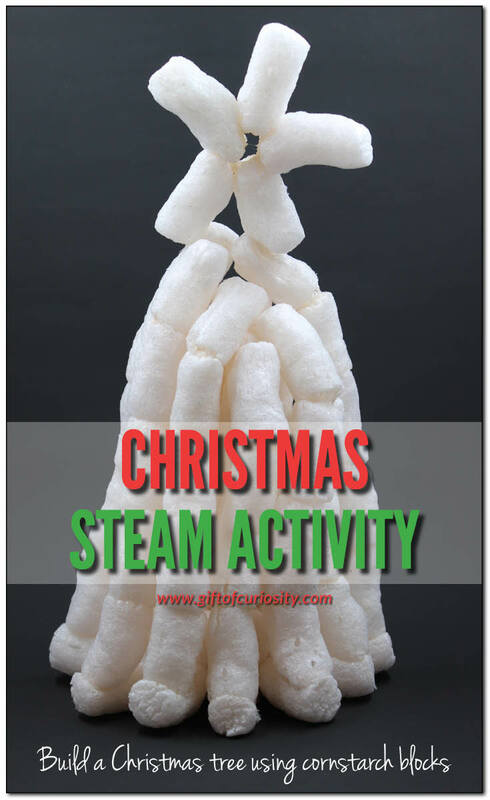 The Christmas STEAM activity I’m sharing today incorporates both art and engineering in a fun activity that our whole family enjoyed as part of a family learning activity. The challenge? 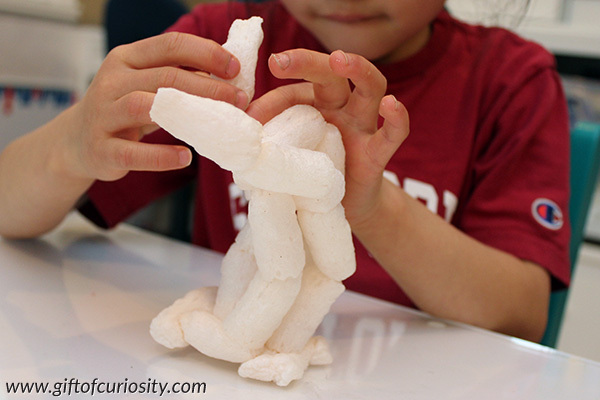 To build a Christmas tree using cornstarch blocks. This activity is simple. It reuses materials you may already have on hand. It stimulates critical thinking skills. And it promotes artistic thinking as well. 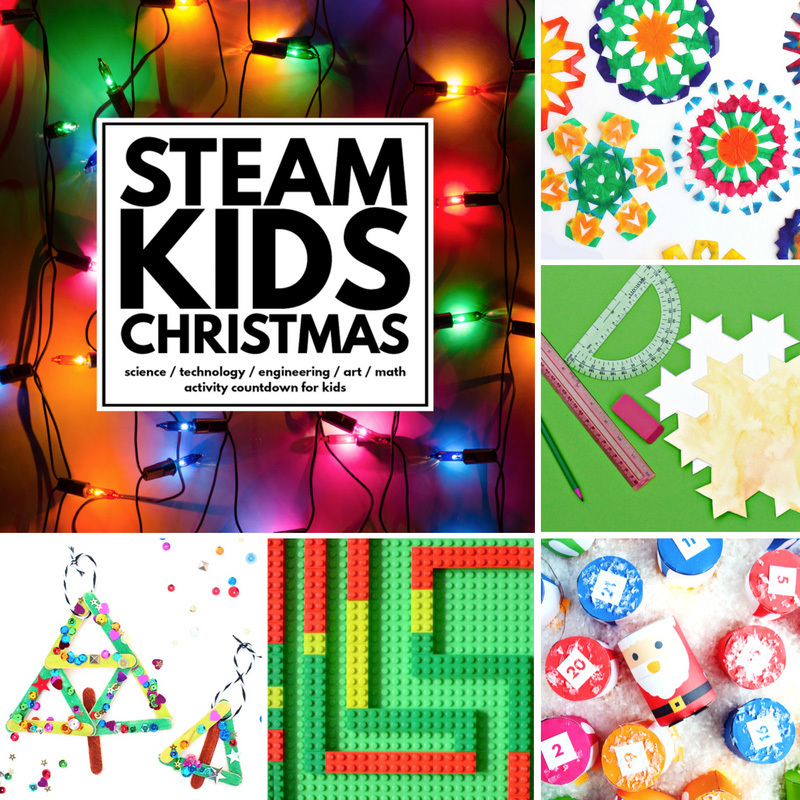 Note: For more Christmas STEAM activities your kids will love, see my Christmas Activities for Kids page. 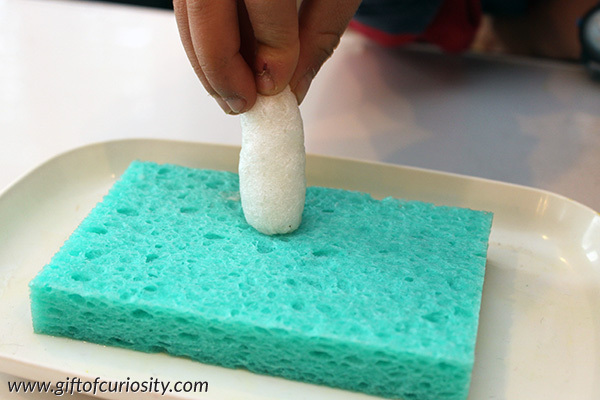 Show your children how to gently dab one end of a cornstarch block onto the sponge to get it wet. Now it will easily stick to another cornstarch block just by pressing them together. 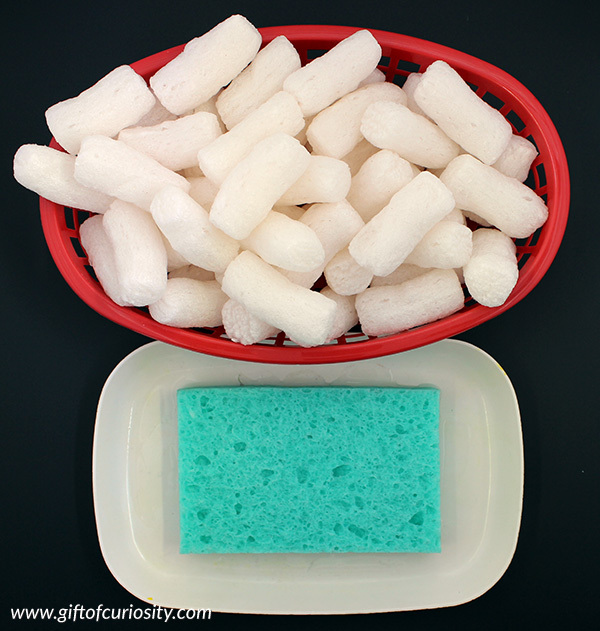 If the cornstarch blocks get too wet, they will completely dissolve. Be sure to only get the blocks damp, not soaking wet. Once we all had our supplies, we got started with the building phase of our project. All four of us came up with a different design. Once we were all done we enjoyed looking at each other’s designs and discussing our inspiration. What will your cornstarch block Christmas tree look like?